To understand Kung-Fu San Soo it must be determined that it is not a sport, but a complete fighting art. 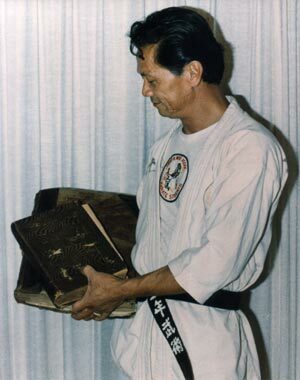 The most important distinction between San Soo and other forms of self-defense is the word: self-defense. While other martial artists meet an attack defensively, a San Soo fighter meets an attack offensively. This is an essential aspect of the art itself. The San Soo fighter, once they have decided that a fight is eminent, uses offensive tactics. The element of surprise is a very important aspect of the art; one cannot allow the opponent the opportunity to demonstrate the skills they may possess. Realizing that the character of any individual cannot be completely known. One cannot determine who is a fighter and who is not, simply by their appearance. For this reason, a San Soo fighter must treat every opponent as potentially equal or superior as a fighter. Becoming involved in a fight is easy; avoiding one, in this day and age, is more difficult. One must consider what there is to gain and lose from any such involvement. The trained fighter is a person who moves decisively, eliminating the threat as quickly and effectively as possible. In this response, it is very easy to severely injure or even kill a person. Therefore, a fighter must determine if the offense justifies the response. In other words, does the opponent merely insult you or do they represent a possible threat of injury or death? Remember, avoidance is always a preferred alternative to violence. Human life should be valued above all. To think through a potential threat, the San Soo fighter must keep a cool head and not allow the heat of passion to dictate what course of action will be taken. They should consider each situation, sum up the opponent, the reason for the confrontation and the appropriate action to take. A good rule of thumb is to expect the unexpected and be prepared for anything. A trained fighter is a professional who knows himself or herself well. They know their talents and capabilities and because of this knowledge, they have no need to prove themselves but rather take every opportunity to avoid a conflict.